Choosing the right software for volunteer time tracking can seem like a daunting task. Whether you’re researching to see which program best fits your needs, or you’re just starting your process of creating a volunteer time tracking program, this series is for you. If you’re new to this, and you have no idea what your organization needs or where to begin, make sure you read all the articles prior to this one (starting with the first one), or else you really won’t take away enough from this to help you make a decision. The four main kinds of software programs you can use to help you track your volunteer time are Volunteer Management Systems, CRMs, Free Form Systems and exclusive Volunteer Time Tracking Systems (like Track it Forward!). We’ll talk about the 4 categories with regards to volunteer time tracking specifically. 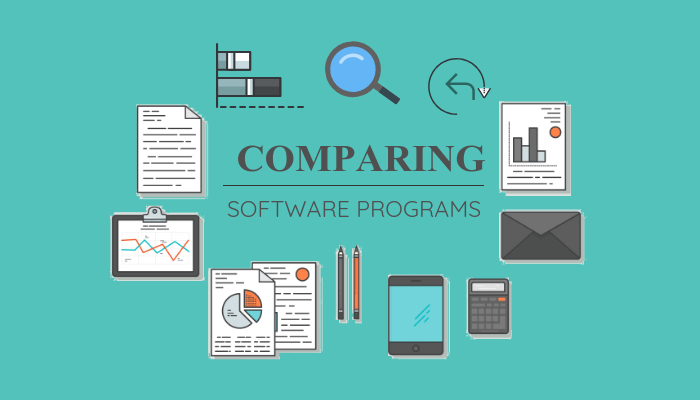 If you’d prefer to skip the analysis and just go straight to the software comparison matrix, you can download it at the bottom of this page. Volunteer Management Systems are a great way to manage all of your volunteer information all in one place. If you need to keep documents, photos, notes, and a large variety of information on file for each volunteer, then this kind of system has some great ways to keep it all organized. Volunteer management systems should allow for communication with volunteers, a record of schedule preferences and flexible data collection for reporting, however, not all do. On the other hand, if you’re looking for something that easy and intuitive, mobile friendly, and allows you to keep track of milestone requirements, then a volunteer management system is not really for you. Volunteer CRMs are designed to simplify the relationship between volunteers and the organization. Most volunteer CRMs help manage the relationship with past and potential donors, however, there are also a few that go beyond that by managing the volunteer impact through time. CRMs are great for storing volunteer records, donations, history and other important data, however, most aren’t supported on mobile devices, there are usually very complicated, not user-friendly and they don’t allow you to have any kind of leaderboard charts or recognition systems in place. Sometimes volunteer organizations opt for Google Forms, Spreadsheets or Survey Monkey as a simple and quick approach to get started. Don’t get me wrong, there’s nothing wrong with that. However, it’s not for everybody. Freeform systems are usually very simple, and not difficult to use, and you usually are in control of the data that you’re able to collect as well as the ability to embed the form widgets directly onto your website. As good as all that sounds, the biggest thing is that these systems don’t allow the volunteer any access to look into their progress or see what they’ve submitted, which means they’re always contacting the coordinator for updates, there’s also no communication capability, recognition system, and it’s not mobile friendly. Lastly, you have systems that are specifically developed for volunteer time tracking. There aren’t very many of them, and they don’t all offer everything. But if you’re looking to have a system that can keep track of your volunteer information and their hours for different reports, and if you want your volunteers to sign up for events themselves, be able to pull up their own hour logs, and have access to do this all from their phone, then a volunteer time tracking system is what you need. Track it Forward does all of the above, but the others? They only do some of the above. To close out this series, if you’ve been paying attention, software won’t solve all your problems and it isn’t the end all be all to getting your volunteers to actually track time. You need to make sure that you have the right structure in place, your volunteers know the importance of why they need to track, you’re constantly promoting your time tracking program, and lastly, you have some awesome incentives or awards to get that last small percentage of your volunteers to join the others. (If you’re really confused and wondering what I’m talking about, you’ll need to start this series over from the beginning).